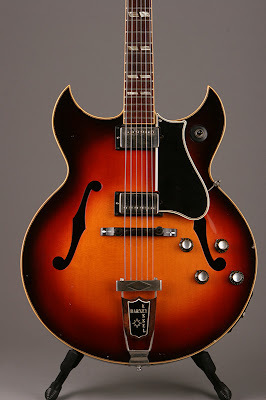 "This is a 1963 Gibson Barney Kessel with a nice vintage sunburst finish. This guitar has a spruce top and I think PAF pick-ups. I can't be absolutely sure because the stickers have fallen of of them. Serial number 62017."